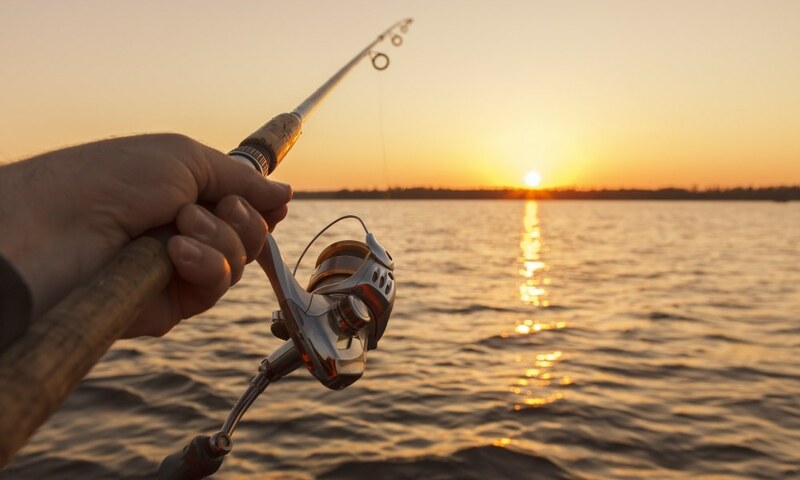 Are you interested in getting into the world of fishing? 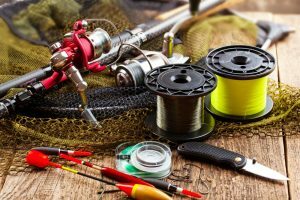 You’ve most likely visited an outdoorsman store that carries hundreds upon hundreds of fishing rods, reels, line, and lures. But without any experience out on the water, choosing the right equipment can be quite a chore. 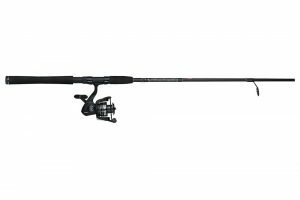 There are plenty of questions you’ll need to answer, such as, what length of fishing rod should I choose? Or, what type of line is best for the type of fishing I want to do? But most of all, you’ll be stuck with the decision of baitcasting versus spinning reels. 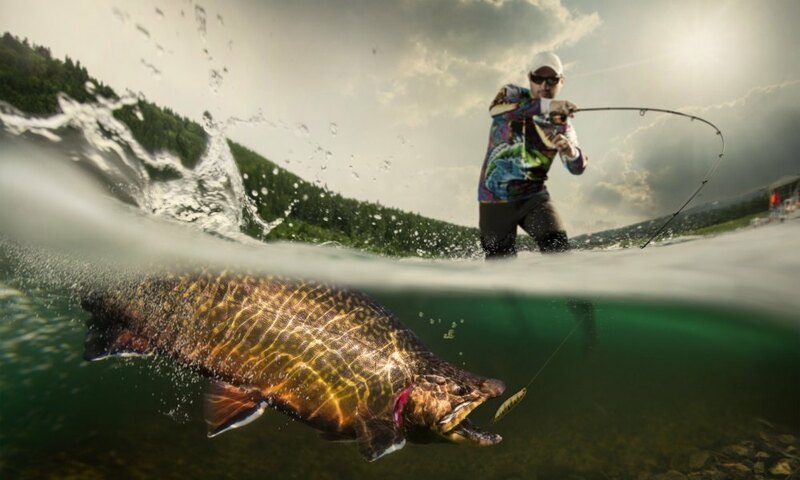 To get a better understanding of whether you’d be interested in using a reel other than spinning, it’s important to answer the question, what is a baitcasting reel? Below are some interesting features of a baitcaster to help you get an idea of whether it’s the right thing for you or not. At first glance, a baitcasting reel might seem intimidating to a beginner angler. But in reality, as long as you are willing to put in the time to learn how to use the reel, it can easily become your best friend. If you’re searching for the utmost amount of accuracy and control when you cast your line, you should be looking at this particular reel. In comparison to spinning reels, a baitcaster is designed with a strong rotating spool, but you will be manually responsible for the line. To make the most out of using a baitcaster, you’ll have to watch out for backlash and bird’s nests, particularly if you’re a beginner. 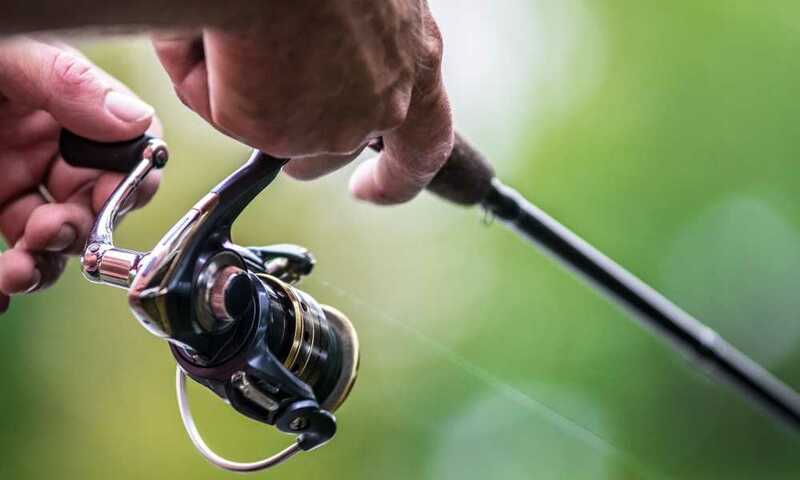 Plenty of people say that these reels are reserved for experienced anglers, but with enough time out on the water, you’ll surely get the hang of it. Accuracy: By far, the most well-known advantage to a baitcaster is the fact that it offers premium accuracy when you cast your line. Instead of using a spinning reel, where your lure determines where the line will end up, you can control the accuracy of your lure when you’re using a baitcaster. 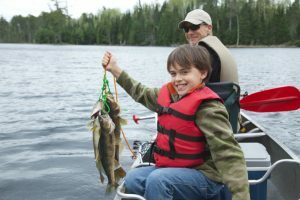 The ability to recover poor casts: As mentioned, you are manually responsible for nearly every cast you make, and as a result, you can easily recover any poor casts before they even hit the water. This helps to cut back on your fishing time and get straight into the action. Casting for further distances: Since you have the ability to loosen the reel when you’re using a baitcaster, you can also add up to 25% further distances every time you cast off. This can be phenomenal for people who don’t want to venture out into the water to get any big game that they’ve had their eyes on. Superior drag performance: No matter if you’re hunting for small fish or large fish, the drag systems incorporated into these reels are far superior to those in spinning varieties. This means you can fight with the largest fish in the pond or lake and still emerge as the winner. When it comes to disadvantages with baitcasters, the majority of them lie within the experience of the user. 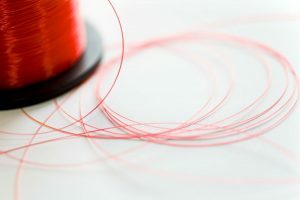 If there’s one thing that can be said about these reels, it’s that you’re going to need to spend a lot of time not only perfecting your technique but also learning how to use the reel right out of the box. Depending on how quick of a learner you are, you may even spend a whole season getting the hang of a baitcaster. But at the end of it all, it will be well worth your efforts. First, we need to understand what a spinning reel is. If you’ve ever watched someone fish before, you’ve undoubtedly seen a spinning reel in action as it’s the most common type. 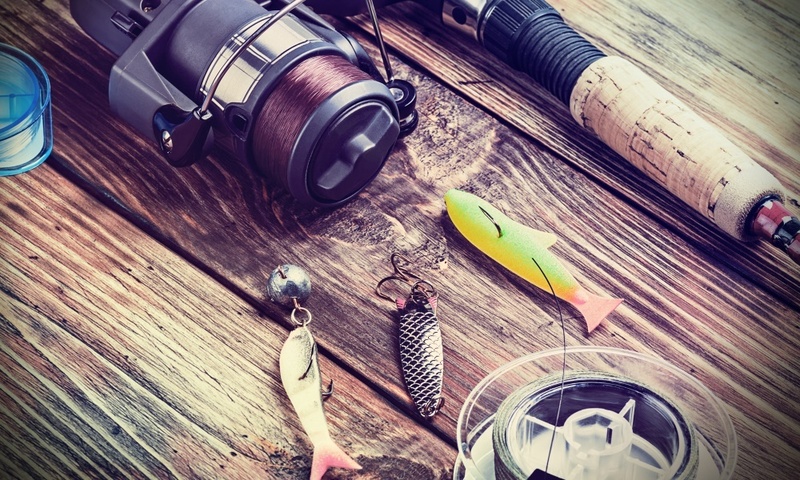 If you’re looking to go after medium-sized fish or smaller fish, you’re most likely going to rely on a spinning reel. 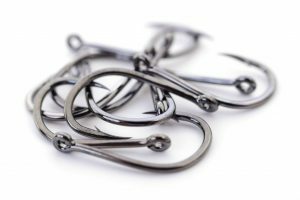 They are specifically designed to have a spool (that does not spin) under the rod, and as you cast off, the line will be drawn out because of the weight of your tackle, bait, or lure. What are the Benefits of a Spinning Reel? Versatility: One of the largest benefits of using a spinning reel is it offers a versatile angling experience. 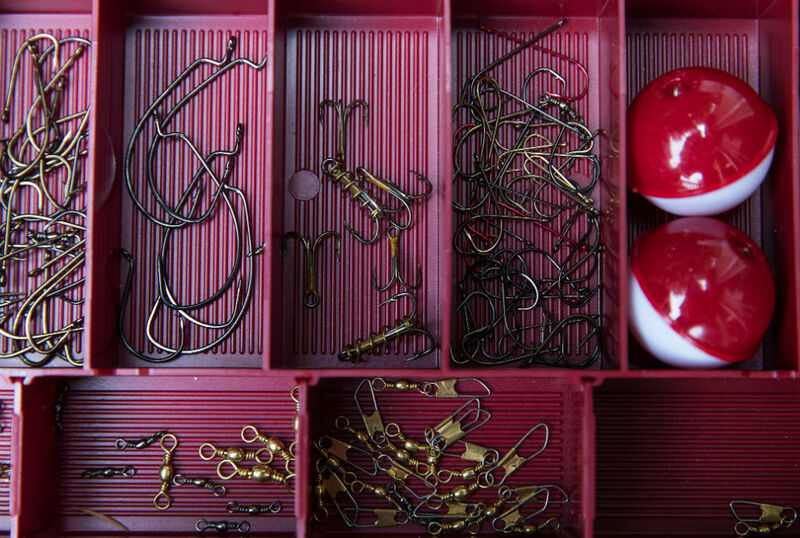 You can affix a variety of different types of tackle to the end of your line and opt between using live and artificial lures, depending on the resilience of the fish you’re going after. This means you can also use incredibly lightweight bait to help make fishing easier on your hands and wrists. Easy to use in windy conditions: Another advantage to using a spinning reel is it offers impeccable performance in particularly windy conditions. You’ll have little to no trouble with backlash, and you’ll be able to cast into the wind or even across from the wind, regardless of whether you’re using light or heavy lures. The ability to switch between left and right-handed: Another feature that can be advantageous if you have a family with right- and left-handed people is that you can switch a spinning reel to the right or left-hand side, unlike baitcasters which will require you to buy either a right or left-handed model. Difficult to slow your lure down for stealth fishing: When it comes to catching the perfect game, you’re going to need to be stealthy in some situations, and this is when a spinning reel can work against you. Considering you have limited manual control over your line when you’re using a spinning reel, it can be tough to adjust the speed of your lure once it’s cast into the air. 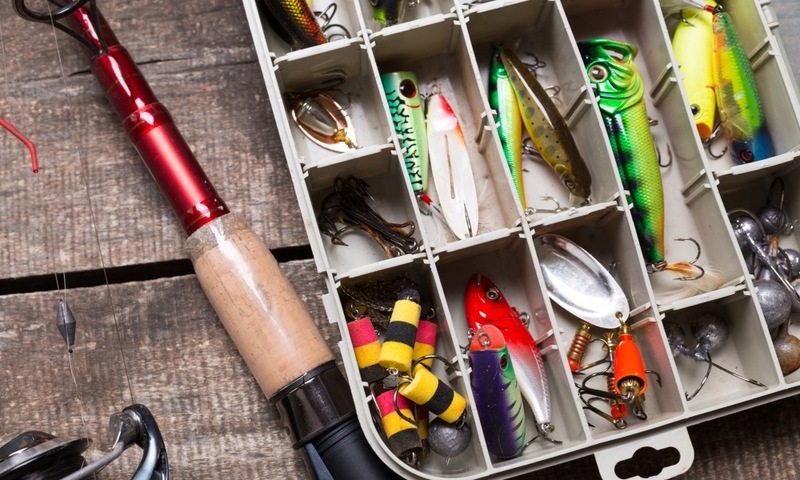 Does not offer strong hauling power: Another thing to remember is that spinning reels are recommended for everyday light to medium weight fishing. Unfortunately, these reels do not offer strong enough hauling power to where you can bring a heavier fish in without destroying the reels’ internal mechanisms. Designed with lesser drag systems: As a second disadvantage pertaining to power, the drag systems inside of spinning reels are far less superior to those used in baitcasters. Even if you are able to angle a heavier fish, you surely won’t be able to fight with it in order to bring it to the shore or your boat. Should I Buy a Baitcasting Reel? At the end of the day, if you’re asking what is a baitcasting reel, you surely need to experience one for yourself. No matter if you go out and buy your own gear or if you use a friend’s, it’s an experience that you soon won’t forget. For the angler that wants to perfect their fishing game and have access to larger fish in their favorite body of water, it’s certainly a reel that you need to consider getting your hands on.